There’ll be more than a touch of love in the air during next weekend’s Challenge Wanaka and Lake Wanaka Half with three overseas couples travelling to the region to get married and compete in what is widely regarded as the world’s most scenic iron distance triathlon. Andrew Charles from Brisbane and Shannon Proffit originally from Christchurch are travelling from Australia to get married at The Venue on 15 January, three days before race day. Then Lindsey Dymond and Kelly Nagy from Hawaii, USA tie the knot at Wanaka Station Park on 20 January while Daniel Edge and Alicia Norris from Macgregor, ACT mark Australia Day weekend with their wedding at Lookout Lodge on 25 January. Andrew and Shannon have raced Challenge Wanaka together for the last three years and have competed in more than 30 long distance events between them. Shannon finished 2nd in the 20-29 age group in 2013 and says this is one of their favourite races. “I’m from Christchurch so, although I now live in Australia, the South Island still feels like home. The atmosphere at Challenge Wanaka is the most relaxed and friendly of any race and nothing beats standing on the edge of the lake on race morning looking out to the first buoy with the snow-capped mountains in the distance,” she said. Their guests will include close friends and former world champions, Scott Molina and Erin Baker with Scott also competing in the Lake Wanaka Half 2014. 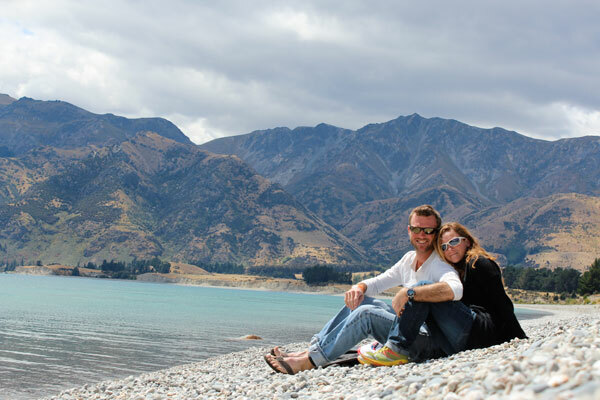 Lindsey said that he and Kelly were inspired to marry in New Zealand after racing at Challenge Wanaka 2012. Most of their wedding party is flying over from Michigan, Washington and Hawaii. “We absolutely fell in love with the area, the culture and graciousness of the residents. Coming from an area with an economy so rooted in the visitor industry we can really appreciate those attributes. A few months after registering for the 2014 race, I proposed to Kelly and it soon became clear to us both that we wanted a small, intimate ceremony abroad. Wanaka has been a place that we’ve always wanted to return to and also share with our loved ones so it was a perfect fit!” he said. Daniel proposed to Alicia just before Challenge Wanaka 2012. In his first long distance event, Daniel won the 20-29 age group and finished 16th overall. They are both passionate about triathlon – Daniel is considering turning professional and Alicia works as a Sport Dietitian at the Australian Institute of Sport. “We really love it here. We started to think about a wedding in Wanaka after we went home after the 2012 race. This region is just so beautiful and we’ll be bringing around 80 guests across from Australia to see it for themselves. With two years to organise everything the preparation has gone well, but I suppose I could say Alicia has done the organising and I have done the training!” he said. Race director, Victoria Murray-Orr sent her congratulations to all three couples. “Every person that competes here is an inspiration, so it’s heart warming to hear that the amazing scenery and atmosphere of Wanaka in turn inspires people to come back whether on holiday, to race again or even to get married,” she said.